A mystery buyer has purchased the apartment to former Hollywood starlet Lauren Bacall. The apartment is where the actress lived for the last 53 years of her life and has an amazing view of Central Park. The Dakota apartment, which is the building where many celebrities have once stayed, was originally put on the market at $26 million in November 2014, while it is said the Bacall bought the house for only $48,000 in 1961. The Daily News reported that because of Bacall’s closely guarded nature with her home, the kitchen and bathrooms haven’t been updated in the 50-plus years she owned the property. Bacall preserved the interior of the home to keep its former-glory beauty intact with the 4,000-square-foot apartment still having its pre-war details in place, including mahogany wood paneling, original hardwood floors and detailed carvings on the heavy wood doors of all the rooms. Bacall lived in the Dakota building prior to her death last year and also shared it with her ex-husband Jason Robards while they were together. The building was also home to singer Roberta Flack, who sold her apartment earlier this year. The Dakota apartment building is the site of where John Lennon was murdered. The Lauren Bacall Collection, which were all the items, furniture and antiques that were owned by Bacall and sold to Bonhams, were auctioned on March 31 and April 1. 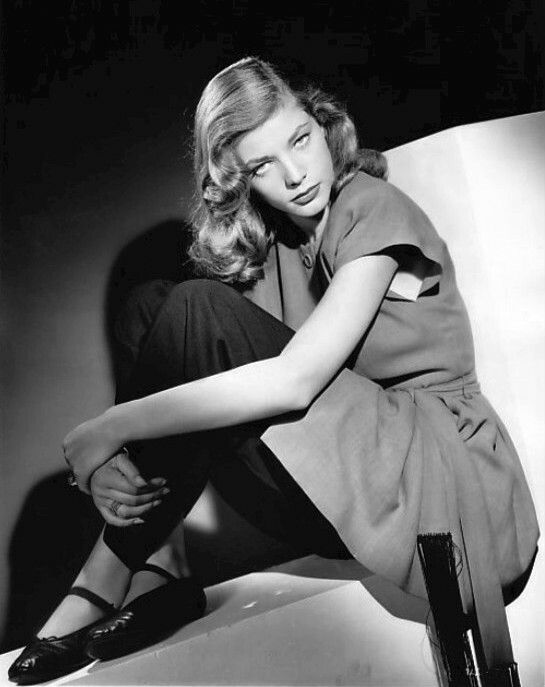 “The Lauren Bacall Collection is fascinating and unique in many ways. The wonderful diversity of collecting categories- furniture, contemporary art, faience, African works of art, symbolist art, majolica, American art, European pewter and brass may at first glance appear a random assemblage of items, but in fact were deliberately collected by a discerning eye to create a warm and relaxed country environment… What struck me most over the years was that this collection was an extremely personal collection and truly reflected Lauren Bacall’s formidable collecting sense and uniquely intuitive style,” said Bonhams New York Vice President of Business Development Jon King. The auction offered the opportunity to show bidders and public how she kept her apartment and her style — each piece being auctioned showing how it fit into her life. The catalog offered to the public and bidders was 375 pages long of descriptions as to what each object was and meant to Bacall. Rebecca Edwardson of Warburg Realty is the listing broker, and it is said the selling price was lower than the asking price of $26 million — in an attempt to attract offers.